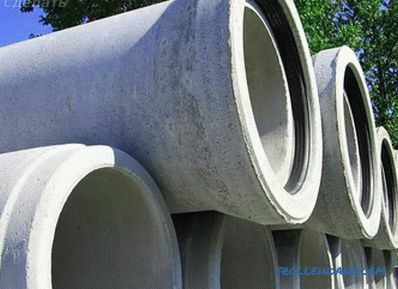 The foundation of asbestos-cement pipes is used in the construction of lightweight buildings from timber or erected using frame technology. It is considered one of the most common and does not require significant effort and cost of construction. 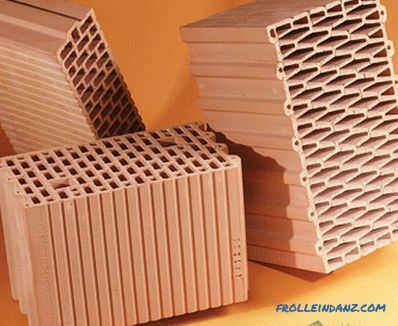 Such supports are ideal in regions that are subject to frequent flooding, because they are very strong and resistant to the adverse effects of a humid environment. 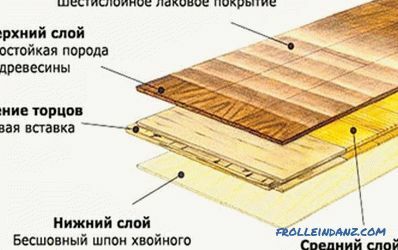 insignificant expenses for the purchase of materials - asbestos-cement products are relatively cheap, their price starts from 100 rubles per linear meter. 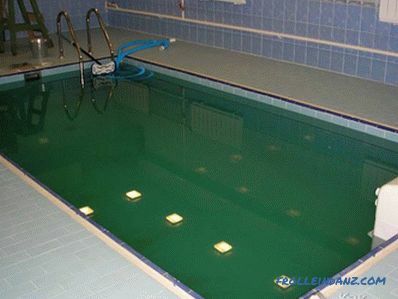 if you are planning a basement or ground floor, then this option does not fit. In the calculations, you first need to determine the depth of land freezing in your area. You can get information from reference books or websites. 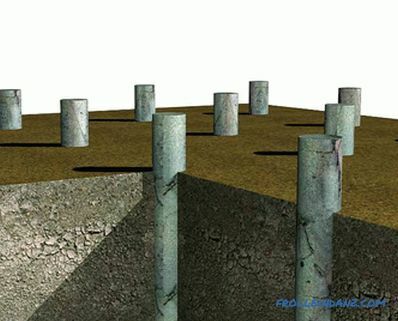 In the resulting figure, add 30-50 cm - this is the sufficient amount of the underground part of the piles. 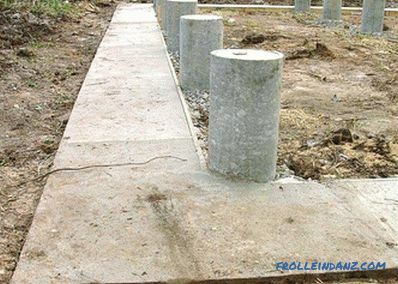 The above-ground part is usually assumed to be 30 cm, but if there is a possibility of rising water at the place of work, the posts can be extended to a safe height. The thickness of the supports is taken depending on the weight of the building. For a house from a log house or a wooden frame, choose pipes with a cross section of 25-30 cm. Light structures: bathhouses, gazebos, terraces are quite 10 cm in diameter. 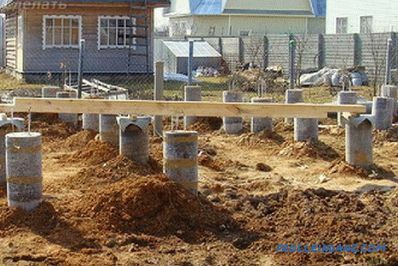 Piles are installed at the points of greatest loads and along the perimeter of load-bearing walls with step not wider than 1 m. Distributed pressure on each support should be no more than 800 kg. Otherwise, the number of pillars should be increased. The land plot equals and marks the contours of the building. Of particular note are the angles and intersections of the walls. In these places necessarily provided piles. For marking it is most convenient to use ropes and pegs. To make sure all sides are perpendicular, check that the box diagonals are equal. 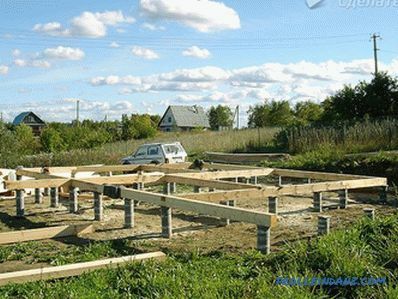 Note that when building an unevenly loaded structure, for example, a capital house with a veranda or terrace attached to it, it is necessary to lay separate foundations with a top trim. It is necessary to provide for the presence of a deformation seam that will separate the two contours - it will save the building from destruction with an uneven distribution of masses. The next stage is the drilling of wells under the support columns. The depth of asbestos-cement pipes must be the same. And the dimple itself is 20 cm more than the calculated underground part. At the bottom of all the pits it is necessary to remove all large stones and create a gravel-sand pillow. Sand and crushed stone are filled up with a thickness of 10 cm each and carefully rammed, pouring water over it. When moisture is absorbed, a canvas of roofing material is placed on top of the pillow and only then the pipes are installed. The poles are aligned in height, and then fixed with temporary wooden posts. 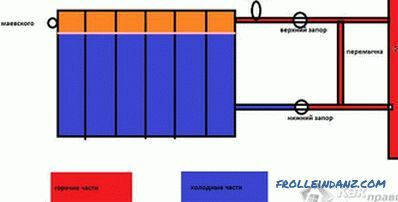 If aquifers lie close to the surface, it is necessary to waterproof the underground ends. Best suited for this bitumen mastic. Asbestos-cement pipes should be strengthened from possible heaving of the soil, filling them with concrete at the base and inside the case. 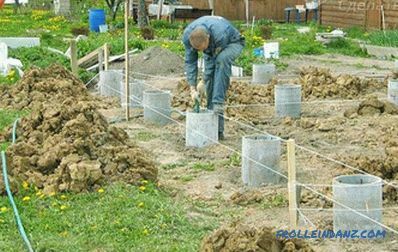 To prepare the mortar, mix the cement with sand in a ratio of 1: 2 by volume and add water until the consistency resembles a batter. Then in the sand-cement mixture, you need to add 2 pieces of fine gravel. The resulting solution is thoroughly stirred and the bases of the supports are poured with it to a height of 40-50 cm. To do this, the pipes are lifted and concrete is poured into the recess. Piles return to the site, pressing in a slightly seized mass. 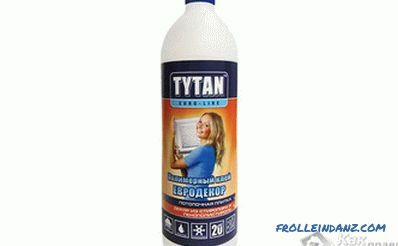 After drying, it is waterproofed with roofing material or hot mastic and wait for drying before falling asleep with sand and soil. Inside the pile, two or three reinforcement rods interconnected by wire are placed between the piles, and the remaining volume is also poured with concrete. It is necessary to remove air from the solidifying mass, for this it is periodically pierced with a rod. The foundation is completely dry and will gather the necessary strength in a few weeks. On top of the supports is strapping of metal lintels, beams or timber.She will allow to level loading between all piles. After that, you can begin to build the building itself. If you have already engaged in the construction of the foundation of asbestos-cement pipes, share your experience with our readers by leaving a comment on the article.